Every single day, I get at least 10 emails asking me how to get started with AliExpress dropshipping. And despite my best efforts to steer these readers towards a more sustainable ecommerce business model, they often ignore my advice. Well thanks to Trump, ePacket shipping, a crucial component of Aliexpress dropshipping, is going away soon which will basically kill this business model altogether. In addition, all companies that facilitate Aliexpress dropshipping like Oberlo are in big time trouble. Editor’s Note: If you are interested in starting a long term and sustainable ecommerce business, click here to take my FREE 6 day mini course on how to start a profitable online store. 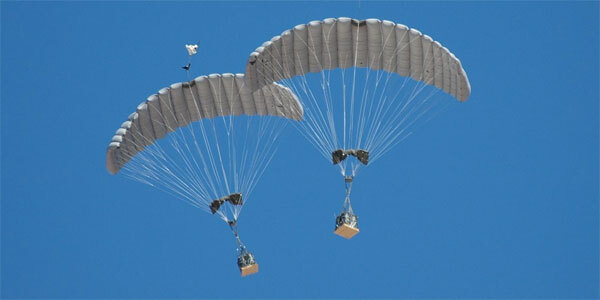 What About Other Forms Of Dropshipping? One of the reasons that new ecommerce entrepreneurs are attracted to dropshipping is because it costs very little to get started. The beauty of dropshipping is that you don’t have to carry any inventory. Your primary responsibility is to sell products and someone else fulfills the order for you to the end customer. You don’t have to worry about storage costs. Dropshipping is truly the cheapest way to start an ecommerce business. And for under $100, you can easily open up a store on Shopify, get a few sales funnels set up and immediately start selling online. You are also not limited to selling on your own website. You can list your products on Amazon, generate sales and have the vendor send the product directly to your customer once an order has been placed. AliExpress dropshipping is a special type of dropshipping where all orders are fulfilled directly from China via AliExpress. AliExpress is an Ebay-like service based in China that is owned by Alibaba. It’s a marketplace where individuals from all over the world can buy direct from Chinese companies. Editor’s Note: I’m using the term “Chinese company” quite loosely here. Sellers on AliExpress can be individuals, small businesses, trading companies or factories. The main difference between AliExpress and Ebay is that AliExpress is much larger and far less expensive. Because AliExpress is based in China where the labor costs are substantially less, you can find products on AliExpress that are significantly cheaper than anywhere else. The huge disparity in cost allows you to make a profit by selling an item at US prices and having it shipped directly from China. Here’s a quick example to illustrate the difference in price. But on Amazon, it sells for $26.00. As you can see, the markup for this product is crazy high. Imagine selling a product for $26 and buying it for only $1.73 without any upfront cost of inventory! But as with everything in life, there’s always a catch. Does this sound like a business you want to run in the long term? Now there’s one thing that we haven’t discussed yet and that is shipping costs. Shouldn’t shipping from China cost an arm and a leg? This is where ePacket shipping comes into play. Because of a 144 year old agreement called the Universal Postal Union (UPU) treaty, companies in China can ship small packages directly to consumers in the United States at ridiculously low rates which are way lower than any American company. For example, shipping a small package to Fairfax, Virginia, from North Carolina costs $1.94. But shipping a package from Shanghai, China to Virginia only costs $1.12. It only costs $1.12 to ship a parcel from China to the US!!!! Just for fun, I pulled up the USPS website to check how much it would cost to ship a very light package to China from California and here’s what I found. To ship a mouth guard to China would cost me $23.50! But to ship from China to California only costs a Chinese vendor less than $2! This huge shipping cost discrepancy is what allows AliExpress dropshipping to be a viable business. 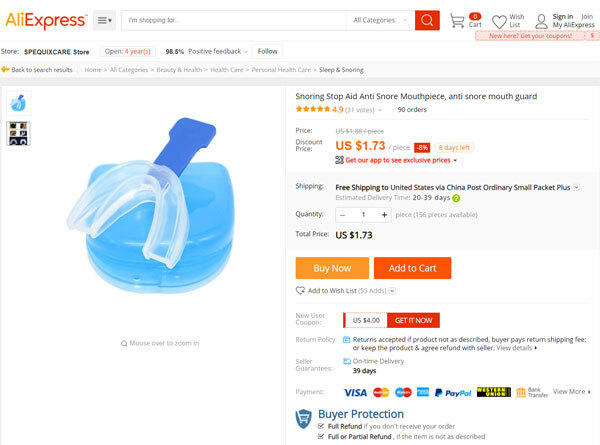 Using our mouth guard example above, you can sell a snoring mouth guard for $26 and pay a Chinese vendor on the order of $5 (including shipping) to have it shipped directly to a customer in the United States. That’s a $21 dollar profit with zero upfront risk! But thanks to President Trump, the United States is pulling out of this antiquated 144 year old treaty known as the Universal Postal Union. As you can tell from my simple example with snoring mouth guards, ePacket shipping provides China with a huge one way advantage over the US in terms of shipping costs. And this has contributed to the big flood of cheap Chinese junk being sold to the US over the years. 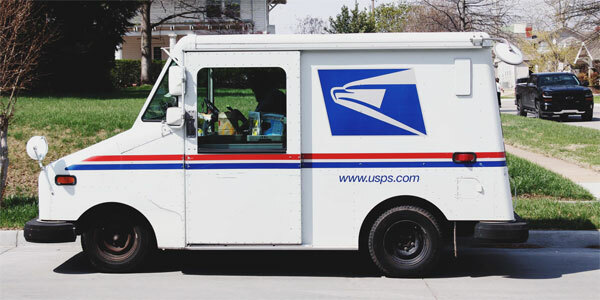 As a result of pulling out of the Universal Postal Union, USPS will now charge much higher fees on packages from all international destinations and not just China. These higher fees will just about destroy any profits that can be made with an AliExpress dropshipping business. 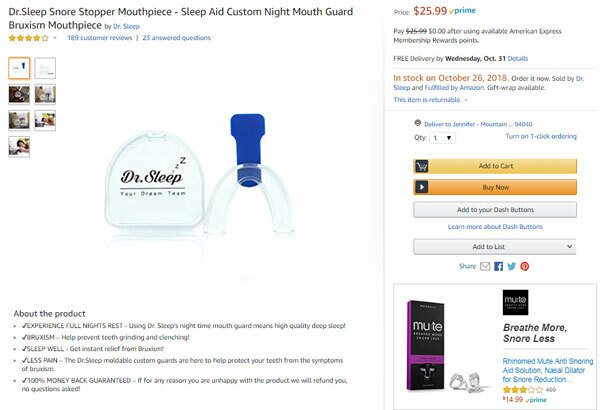 A snoring mouthguard shipped from China will now cost $25.50 as opposed to $5 leaving little or no room for profits. 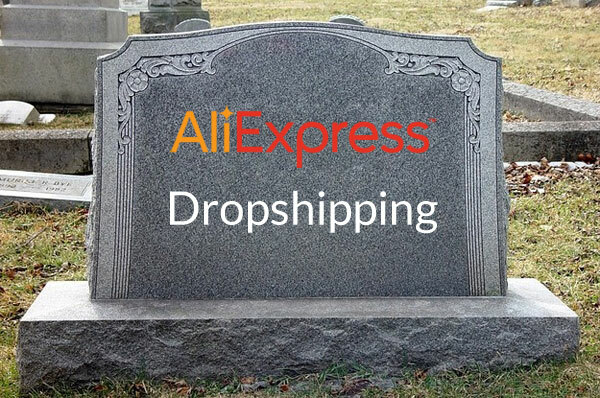 Say goodbye to AliExpress dropshipping! Higher international shipping from China will cause a huge ripple in the ecommerce industry that will hopefully benefit both consumers and sellers alike. Today, much of the counterfeit sales coming from China is made possible because of cheap ePacket shipping. Citing a specific example from the Atlantic, a man by the name of Mike DeVries used to sell wheel bearings for a certain brand of lawnmower on eBay for $5 to $8 a piece. But Chinese sellers started selling packs of 20 wheel bearings for only $10 and basically put him out of business. Mike was paying more to ship his bearings to people in the US than the Chinese sellers were paying to ship these bearings all the way from China! Right now there are thousands of Chinese sellers on Amazon and Ebay who are taking advantage of ePacket to sell cheap, light items direct to US consumers. In theory, the increased costs of international shipping should reduce the amount of merchant fulfilled junk we see on Amazon and Ebay. In addition, companies like Oberlo, who facilitate AliExpress dropshipping on Shopify, will become far less attractive. Even though AliExpress dropshipping is probably going to die, it doesn’t mean that regular domestic dropshipping is going to go away anytime soon. Today, a large number of retailers rely on dropshipping to fulfill their orders directly to customers without having to carry inventory. For example, Zappos used dropshipping to dominate the shoe market long ago and most of the large retail stores in the United States rely on some form of dropshipping for their product fulfillment needs. For small business owners, dropshipping can still be a viable ecommerce business model but it’s getting much harder thanks to Amazon. After all, why would you buy a branded product on a no name shop when you can get it cheaper and faster on Amazon? In general, my colleagues who are the most successful with dropshipping tend to either sell large, big ticket items or products that can be upsold with accessories or services. It also helps to dropship products that are conducive to content marketing and customer education. That being said, dropshipping can be a good way to dip your toes in the ecommerce waters especially if you have very little upfront money to invest in your business. You can start out with a dropship store, find out what sells well and then choose to stock or private label your winners. In case you are interested in domestic dropshipping, you need to understand the pros and cons thoroughly. If you followed MyWifeQuitHerJob.com for any length of time, you probably know that I’m not a huge fan of dropshipping as a long term business model. Not only are the margins lower (~20%) but you don’t have any ownership of your brand. Because there will be other vendors selling the exact same item as you, it’s difficult for your shop to stand out. You also have very little control over your customer service. For example, if your dropship vendor often ships out products late, that will make your company look bad. If your dropship vendor is out of stock on an item you just sold, you are responsible for contacting the customer. If you want to be in the ecommerce game in the long run, you really have to own your own brand and sell private label products. When you own your own brand, you are in full control of your own destiny. Running a private label ecommerce store often requires a little more upfront investment but you avoid being at the mercy of external factors that can put you out of business. In the grand scheme of things, the AliExpress dropshipping model was never going to last. And when it comes to entrepreneurship, the faster and easier it is to start a business, the less sustainable it will be. Think about that statement when you consider starting your next business. Editor’s Note: If you are interested in learning how to start your own online store, click here to take my FREE 6 day mini course on ecommerce. Thank you so much for the sharing article. I have been reading your articles and they are really very helpful for me. This has been very insightful! I agree, long term e-commerce businesses would do better if it were their own brand. Either that or they’d really have to buy in bulk for bigger margins. I’ve been saying this forever: even while there were still meager profits to squeeze out of this model in a few niche categories, it was obviously never going to be a sustainable business model – unless you have the infinite scale and infrastructure of Amazon. No one is in the “E-commerce business.” Ecommerce is simply a channel through which one sells products and builds a BRAND. I personally think this is great. I have multiple products on Amazon and my own website, and this will certainly benefit me and others who don’t take “shortcuts”. We were unfairly undercut by Chinese sellers for far too long. I couldn’t be happier. I’ve been struggling to stay in business for years selling my own original artwork on products. Aliexpress is FILLED with COUNTERFEITS of my work and thousands of other artists. How on earth can you compete with LOW-QUALITY knock-offs of your OWN artwork when they are selling them for pennies on the dollar. And guess what, if your name is in the design for copyright/trademark purposes and someone buys the ugly pixelated version, what do you think that does to your reputation?! Even worse, when they title it with your TM’d business name in it! Yeah, not at all going to be sorry to see counterfeiters struggling…. And not sorry to see people who sell the counterfeit goods struggle either. Do a little research and find LEGITIMATE items elsewhere. Because guess what, counterfeiting is a crime and it’s not victim-less and it doesn’t matter that you were “just selling it and had no clue”, you were involved in making money off of someone else’s work. We should indeed thank the President! China has been filling the U.S. with counterfeit crap manufactured with cheap, underage labor that often defies any reasonable health standards as well! Now these Chinese manufacturers can keep their garbage in their own yard. I know everyone is commenting on this from a seller’s point of view. No more competition from China. As a poor, years out of college, making minimum wage person who is taking care of a sick mother and has yet been able to find another job I think this is devastating. The only little gifts I was ever able to afford for myself or others were because of the highly marked down items that came from AliExpress and seller’s on eBay and now thanks to tRump that’s dead. I know most people think about themselves and what is best for their bottom line and screw the little guy who can’t afford the $25 version of what they want but could spend the $5 on it and didn’t care about waiting a little longer. This was a great and informative post about how it benefits you and everyone that has been able to afford to start a business and find success. It means I still can’t afford to shop at your store and now won’t be able to shop from theirs either. Great. Thank you for such a clear and informative article! I am not sure when the U.S. will fully implement this… But then epacket covers many other countries like the UK, Australia, and others. What’s the plan there? I have experience in retail. When dropshipping was introduced, I was hesitant to be a part of it and still up to now. I just feel the quality of the products might fall short on a particular brand I am carrying. Great article and nicely explained the reasons why dropshipping from China can be a less viable option – or will go away for good. They put so many people out of business, and the items are pure and utter Cr*p! I always believed in an old-fashioned way of finding local/national wholesalers and selling the stock you actually have in stock. You are happier, as you don’t need to stress about the way your products are labeled and packaged, and a customer is happy, as they don’t need to wait 3-4 weeks for the product. Yay for traditional ecommerce and thanks for another excellent article! Thanks for the article! I dropship with AliExpress and I can’t imagine my business without one special tool – AliDropship plugin. It helps me to add products and fulfill orders automatically. I manage products, pricing, sales, and profits with a single panel. My store has a good income, so I can’t say that AliExpress dropshipping is dead. I’ve been drop shipping for several years already. I started with Oberlo, but now I use AliDropship. All the time I see that ‘dropshipping is dead’. I failed twice, my niches were bad, but now I have 9 online dropshipping stores with a stable income. Who made them officially dead? I am finding that pulling products from oberlo end up being from aliexpress which is offering the same products on line at our cost. From that standpoint alone there is no competing with aliexpress to have a store online. For instance the oberlo dropshipper charges 17 dollars for something, and aliexpress charges the same price for the same item. All any one has to do is google the item and thats it, you dont stand a chance. Sounds like oberlo is actually aliexpress in disguise. this is great, read similar similar stuff in The Atlantic’s “Trump Changes Terminal Dues” article. But when is this change happening, its been a few months now?